Visit Local Wineries – Here in Lockport, we have lots of wonderful wineries. A wine tasting is a wonderful way to spend an afternoon with friends, or you can make a whole day of it and tour multiple wineries. Between Flight of Five Winery, Niagara Landing Wine Cellars, Honeymoon Trail Winery, Arrowhead Spring Vineyards, and Spring Lake Winery, you’re sure to find a wine (or several) that you love. Experience a Tunnel Boat Tour – Whether you’re a nature lover or not, you and your friends are sure to enjoy exploring an underground cave, and the Erie Canal just so happens to host the longest underground boat ride in America! The Lockport Cave & Underground Boat Ride is the perfect Lockport outing for those feeling a little adventurous. Plan a Casino Night – A visit to a nearby casino is the perfect excuse to get fancy and rent a party car with friends. The Seneca Niagara Resort & Casino also makes for a wonderful destination if you want to make a weekend of it! Go Skating in Lockport – Not only is skating a fun casual activity for friends, but it also makes a great Lockport venue for parties like bachelor/bachelorette parties, adult birthday parties, class reunions, church groups, meetups, and clubs. So make plans to enjoy an adult night out in Lockport. Check out our upcoming Lockport events, and contact us at 716-507-4381 for more information about hosting a party at Rainbow Skateland. Tired of the cold winter weather? Thankfully winter is almost over, but we’re not out of the woods yet. Don’t let the bleak weather keep you from having a good time. Now is a great time to have a fresh experience or learn something new. Check out these fun indoor things to do in Lockport to bide your time until things warm up again! Palace Theater – Consider catching a show at the Palace Theater. By going to the Palace Theater you are not only supporting local indie theater, but you’ll also be enjoying a great show in the historic opulence of this grand 1920s theater. Lockport Art Company – Take a class at Lockport Art Company. This art studio offers several classes each week on a variety of pottery techniques including hand building, wheel pottery, functional pottery, and sculpture. They also have a studio for working in glass! Rainbow Skateland – No matter the weather, it is always a great time to skate at Rainbow Skateland! Getting enough exercise can be especially hard during the winter months due to the cold wet weather, but indoor skating is great exercise. 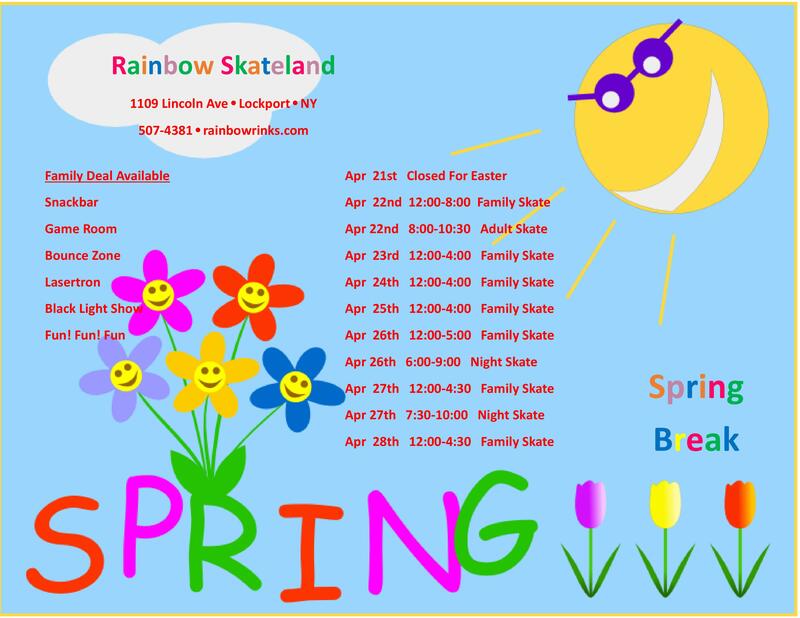 Of course there is a lot more to do at Rainbow Skateland than skate. You and your family can play a few arcade games, take the little ones on our Bounce Zone, or have a Laser Tron competition. So make plans to spend the day skating in Lockport! Check out our hours and our many fun upcoming Lockport events and make your plans today. February is the month of love, flowers, hearts — and not just the candy kind! 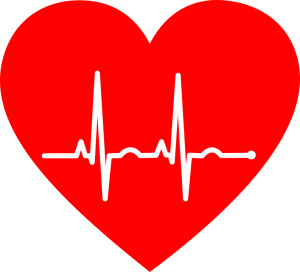 That’s right, February is also American Heart Month. Heart disease is the leading cause of death for both men and women in the U.S., but the good news is that there are many ways you can treat your heart better and reduce your risk of heart disease — including roller skating! That’s right, roller skating is not just fun, but it’s also literally good for your health. One of the best things you can do for your heart is to stay active, and roller skating is a great way to get in an aerobic workout while having a blast. It is recommended to get at least 30 minutes of exercise a day, 5 days a week, and skating is a great way to make this happened! Skating is a wonderful workout for your whole body. It doesn’t just improve core strength and tone muscles, but it can also provide an aerobic workout that gets your heart pumping. Skating (or any physical activity that is fun and social) can also help to reduce stress. 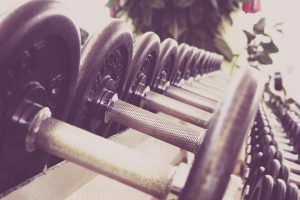 Not to mention that when exercising is fun, you will be much more likely to stick with it. So make skating a part of your regular routine and join us at Rainbow Skateland for a little Lockport roller skating. 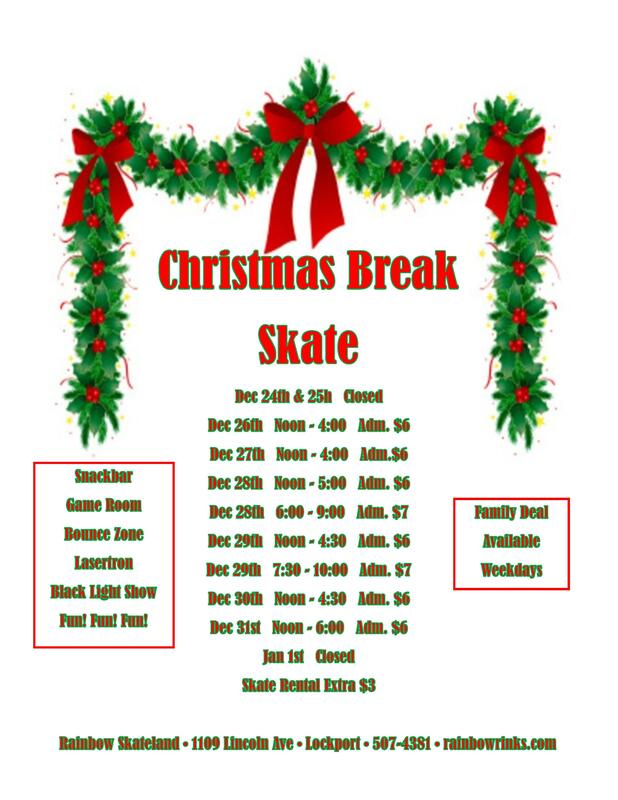 Check out our hours and our fun upcoming Lockport events, and make your plans to skate today. Your heart will thank you for it! Jam skating has a long and interesting history, but most people don’t know a whole lot about it. Most people are probably familiar with it due to its popularity in music videos like “Blow” by Beyoncé. Of course the Queen Bey wasn’t the only artist to include impressive jam skating in her videos. “1, 2 Step” by Ciara and Missy Elliott, “I Heart You” by Toni Braxton, and “My Shoes” by Murphy Lee are all great examples of jam skating. Jam skating is a particular form of freestyle skating that has been heavily influenced by various rhythm skate styles, artistic skating, modern dance, break dancing, and even gymnastics. As a style, jam skating emphasizes personal expression over speed or aggressive skating styles, and is noted for its free flowing movements. Roller rinks were very popular around the time of WWII. While some people were content to just skate laps, others began what would become rhythm skating. 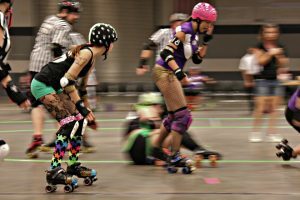 As its name implies, rhythm skating is simply a form of skating wherein the skater dances, shuffles, and/or slides to the rhythm of the music. From this early rhythm skating came many distinct styles including the bee-bop style of the 1950s and 1960s, the soul skating style of the 1970s, and of course, roller disco during the 1970s. All of these styles and their evolutions influenced the rise of Jam Skating, which combined these influences with break dancing and gymnastics to create a new style. Now that you’ve read about the fascinating history of jam skating, why not try a little skating of your own? Check out our hours and calendar of upcoming Lockport events, and make your plans to visit out Lockport skating rink today! What Age Can Kids Start Skating? Hitting the rink for the first time can be scary, especially for little kids. But with a little extra attention, they can do it. That’s why we are so proud of our Rollers and Strollers class! Rollers and Strollers is geared toward preschool-aged children who might be a little intimidated by the rink. The program’s goal is to help young kids get used to the skating rink and excited to try skating. We encourage parents to bring your child’s favorite riding toy along for a spin around the rink! Roller and Strollers is held every Tuesday (from October through May) from 10:00 am – 12:00 pm. Admission is only $6.00 and includes roller skate rentals, skate trainers, and admission to our famed Bounce Zone. Your child will love the Bounce Zone! It has plenty of bouncers, mazes, slides, and an obstacle course to get your kid moving to bounce off a little energy in a clean and safe environment. The maximum height for the Bounce Zone is 54 inches, and there’s is a seating area for parents to watch their kids have fun. If your child does well at Strollers and Rollers and wants to learn more, then checkout our Lockport skate lessons for young and old. So long as your child can stand on skates and follow simple directions, then they’re more than welcomed at our skate lessons! Check out our upcoming Lockport events schedule and make plans to get the whole family together for some quality time at your local Lockport skating center! We look forward to seeing you. It is time again to make new year’s resolutions! Or if that’s not your thing, just planning ahead for how you’ll make 2019 an even better year than the last. One of the most common regrets is not spending enough time with friends and family, or just enjoying life. So if you’re interested in a more balanced 2019, check out these ideas to help get you started. Celebrate the little things – and the big things! Whether it’s a great report card, a winning game, or a new personal best on the treadmill, it’s always important to appreciate the good times. Rainbow Skateland is a great place to come when you want to share your happiness with friends or family. Make it special with skating, a few games of mini golf in Lockport, or a family night in the arcade. If you’re celebrating a special birthday, promotion, or some other special occasion,then check out our party options! Carve out time for fun – Institute a weekly Lockport family fun night with your kids or spouse. Or you could invite friends to a weekly hangout! Feel like a kid again – Skating, mini golf, and fun can help you forget about the stress of work and other commitments. Skating is actually great exercise too, and it’s low-impact, so it is better for your joints! Come visit us in 2019 for more fun, more laughter, and more quality time with all the people you care about. While you’re at it, head over to Facebook and follow us for updates, announcements, Lockport special events, and more! It’s the holiday season and that means kids are going to be home from school soon. What better time to find some great family activities to do together? 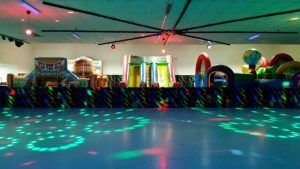 At Rainbow Skateland in Lockport, NY, we thought it would be fun to give you a short list of fun activities that the entire family will enjoy. Check out some of our favorite winter break activities below and enjoy the season together! There is no other time of year that we can see so much spirit and love just by driving around the neighborhood! Gather up the family and pack up some hot chocolate and cookies. You can walk or drive around to see all the festive lights. Also check with local organizations to see if there are any luminaries scheduled this season! Perfect for in the house or out in the yard, start by hiding some small but meaningful prizes, then make a treasure map or write clues for kids to go find them. Instead of hidings gifts, consider things like small treats, gift certificates or candies, or even coupons for getting out of chores or having more computer/tablet time! Of course, our favorite holiday activity takes place right here at Rainbow Skateland! Roller skating has been a family favorite for generations. 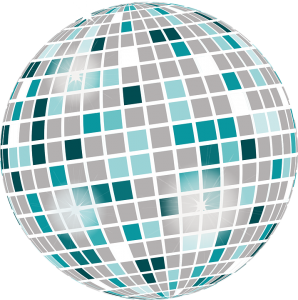 Our DJ will be playing all the best holiday and pop songs all season long. Not to mention, skating is a great workout so if you need a fun way to tire out the kids during winter break, roll on by!